I wasn’t going to write today, but I just had to talk about the events of the past week. Terry is now officially retired. We’re both now on Medicare and Tricare, which is military insurance. So now we have to learn all the ins and outs of our new healthcare options, which should take us at least until the Lord comes back! Terry never wanted or expected to retire. He loves to work. He does not DO “inactive.” But since his foot injury last summer, his life took a completely unexpected turn, and he finally accepted that he just can’t be reliable in a full-time or even part-time position. The funny thing is, he’s already got more projects lined up than he’ll ever have the time to finish. He may not have an official job any more, but that doesn’t mean he won’t be working! And I have a few ideas, too, since I’ll still be working for a while yet. . . . . 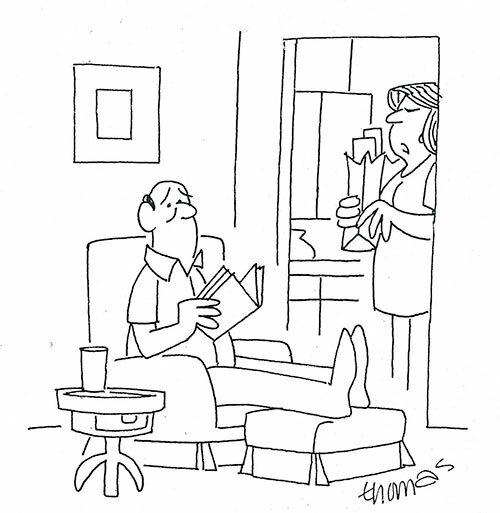 So, how was your first day of retirement–and what’s for dinner? Domestic Violence: What Can You Do? Again, for the sake of grammatical simplicity, I’m going to use the masculine pronouns for the abuser and the feminine for the abused. I want to stress that sometimes it’s just the reverse. I know that. It is pretty typical for the abuser to express remorse after his rage is spent and his wife is bruised, bloody, and broken. He may even promise never to do it again. This verse makes it pretty clear that if his remorse (sorrow, grief) is of God, it will work in his heart even to the point of salvation, which he will never regret. However, if his remorse is of the world (full of entitlement, power, control, and justification; in other words, not at all sincere) then he does not know God. If you try to approach him with a scriptural reason he shouldn’t beat you, he’ll twist it and tell you it means something entirely different. You really can’t win. That’s because, in my opinion, he has a reprobate mind. He is closed to the Holy Spirit. He is not a child of God. Does his spiritual condition make it ok for you to leave him? First, I believe that everything within a woman’s power, with the help of her church in whatever capacity possible, must be done to help bring the abuser to Christ. Leaving should happen only if she and her children are in danger or when other interventions have failed. How many times must a woman accept a beating before she can leave? Well, personally, I think once is more than enough! In most cases, the first time is just that: The first time. It indicates there will be a second, third, and more. Violence almost always escalates. This is not to say she must divorce him; however, to protect herself and her children, she needs to leave. Consider this. Assault is a crime. People are arrested, jailed, tried and convicted for assaulting someone else. Why, then, is it not an actionable crime in the minds of so many Christians for a man to assault his wife? Why, in this relationship alone, is it considered “God’s will” for a woman to accept the abuse? I’ll never understand it. Never. This is going to require more posts than I realized to explore thoroughly. My point today is that I believe we can safely assume that an habitual abuser is not, in truth, a born again Christian. Abusive behavior is contrary to the very nature of God. It is, however, totally consistent with the character and behavior of Satan. Why would God demand that a woman stay married to such evil? I don’t believe He does. And for now, that’s where I’m stopping. Come back next Friday for more scriptural support for my position. The Jews considered the dust of heathen lands as defiling compared to that of the Holy Land (Ezek. 45:1; Amos 7:17). To shake the dust of any place off their feet, then, was to recognize it as rejected of God; in this setting, rejected of God because that place had rejected Him. To shake off the dust of their own land, the Holy Land, was of great significance. Jesus goes on to say that the day of judgment will be easier for Sodom and Gomorrha than for a city that was offered the gospel of the kingdom and chose to reject it. This is a very strong statement, and points up the importance of the mission the disciples were to fulfill. Jesus was offering Israel one more opportunity to recognize Him as the Messiah, and to accept the Kingdom. It was a heavy responsibility that the disciples carried as they set out to preach the gospel of the Kingdom to their countrymen. I am sure that they set out only after a season of fervent, effectual prayer! If there is an application for us today, I think it would be that we are not to be willing to allow the dust and dirt of the world to stay on our feet. We have to be in the world, but we don’t have to be of the world. James 1:27 tells us that true religion and undefiled includes keeping ourselves unspotted from the world. We need to wash our feet! Terry is carrying her own bag of burdens, and along with many other wonderful friends I’ve found here at Word Press, she’s managed to be an encouragement to me in spite of her own difficult struggles. These are bloggers who encourage me every time I read their posts. Thanks to all of you! Jesus sets very clear guidelines for where the men are to stay. They are to seek who in the town, village, or city is “worthy.” That is, they are to look for those of good character or like faith, and seek lodging there. A preacher, or any other representative of Jesus Christ, must be careful of his reputation and not stay with disreputable people. This ”worthiness” also, very likely, indicated people who desired to know Messiah. Luke 10:7 indicates that they were to stay in one home, not changing about from house to house, leaving themselves open to accusations of gossip and looseness. Further, Jesus told them, when you find such a home, bless that home so that God will prosper it. If the home is not what it should be, then hold on to your blessing. This set of verses has had a strong impact on my thinking. Keep in mind that this was not the church, and the gospel of grace, that the disciples would be preaching. It was the gospel of the Kingdom, and was only for those who had ears to hear. However, the application can certainly be made today for Christian workers. We need to be careful about the way we live from day to day. Unbelievers, I am convinced, often know more about how Christians should live than we do ourselves! We are known by the company we keep, by the places we go, by the way we comport ourselves. While we are to minister to unbelievers, we are not to behave as they do. This morning, at my gym, one of the members was discussing alcohol with another man. They were talking about various drinks that I know nothing about, trying to decide which was the most potent. One of them glanced at me, and asked me what I thought. The conversation then turned to other things, and I went on to another machine. The important thing was that I was light-hearted in my response, and didn’t offend them–and that they knew right away that I’m a believer. Isn’t that interesting? There are lots of people who don’t drink, and not all of them for the same reasons I hold.Yet it is assumed by most that if you don’t drink, it’s because of your faith. Unbelievers know how we’re supposed to live. I used alcohol merely as an example; I know not all Christians share my conviction about it. I’m not trying to offend anyone or to preach against alcohol, although I hate what it does to people. I simply believe that we need to be circumspect in our walk, so that nothing can legitimately be held against us that would hurt the cause of Christ. Don’t take Anything With You! But wait! How will we pay for our food, our lodging? What if it rains and we get wet, and we have no dry clothing? Really, Lord? Shouldn’t we go out and raise support first? And before you become offended, I’m not saying a single thing negative about the practice of raising support for missions. I believe the churches should support their missionaries. So why was Jesus asking His disciples to go on this journey so unprepared, in terms of physical needs? I believe there are two principles Jesus wanted His disciples to learn, and that can apply to us today, as well. First, they themselves had received the message freely, and they were to give it the same way. The Gospel is to be free, without money or price. How often have churches, down through the centuries, paid for ministers, rented out pews, given fairs and dinners to raise money for the church—but overlooked the winning of souls to Christ! Christianity should never be about entertainment to bring people (and their wallets) to church. It should always be about bringing souls to Christ. Second, going out with no provision whatsoever forced these men to depend wholly on the Lord, Who had sent them. 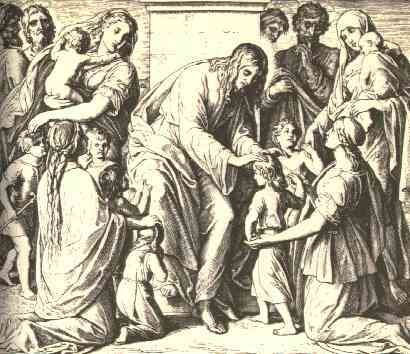 Jesus wanted them to learn that He would always meet their need. He did that through the people who heard the gospel of the Kingdom. If God calls us to a task, He will always provide the way when we walk in simple dependence on Him. I think we’ve lost sight of simplicity. I was having a conversation the other day, remembering some of the youth banquets that were given years ago. The people who were involved remembered going to area grocery stores and asking for the decorations that were being taken down and replaced with new promotional materials. They came home with loads of useful, colorful things. They worked hard to set up all sorts of scenes, from a Hawaiian theme to an “under the sea” setting, all done with elbow grease and a lot of joy and laughter as they worked together. The meals were prepared by volunteers, and they were delicious. The after-activities were inexpensive and fun. Today, we’re following the world’s example of having to go to luxury hotels for dinner, arriving in limousines, and traveling to expensive places for entertainment. Nothing intrinsically wrong with that, but I have to ask: How has the “upgrade” helped our young people to become more spiritually mature? How has it taught them to depend on God’s provision? Seems to me the missions trips they take to third-world countries have a lot more to do with softening their hearts for God than the hundreds of dollars that are spend on a one-night banquet. And now I’ll get off my soapbox. The disciples were told to preach only one message: The kingdom of heaven is at hand. I think we need to review what that meant. Putting it as simply and clearly as I can, it meant that the promised Kingdom for Israel, and through Israel to the nations; the Kingdom with all its earthly blessing, was about to come. It was announcing the fact of the presence of the King, if His own chosen people would have it. Such a preaching of the Kingdom is not given now. Once the Church has been removed from the earth into heaven, then the Kingdom will again draw night in the Person of the returning King with His saints. Israel did not accept Him; did not believe Him; did not receive Him the first time He came. But the next time, it will all be different. The next time, He will not be condemned and crucified; He will reign in the earth for 1000 years, and His Word will be the Law. The disciples were empowered to do the same kinds of miracles that Jesus had been doing, including raising people from death and casting out demons. These miracles were proof of His Messianic power and authority, and were NOT a sign of the supernatural powers of these men. The were given only to declare the coming of the Kingdom, not to make these men objects of worship. 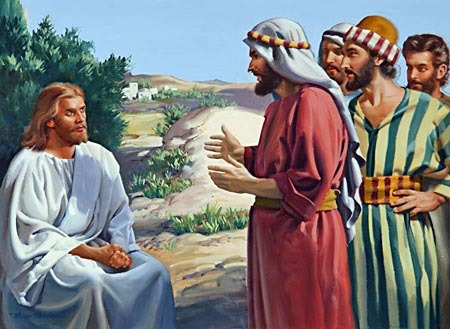 Finally, Jesus tells them not to expect pay. He reminds them that they have received His power and presence freely; therefore, they were to give back to the people freely.